If the $200 billion automotive sector is an important part of your prospect attraction program we invite you to attend The Automotive Consultants Forum, April 10-12, 2012 at The Four Seasons Hotel, Atlanta, Georgia. This special Conference organized by The Consultants Forum and Area Development Magazine brings together a distinguished lineup of speakers among site, business and research consultants, other automotive industry leaders and corporate executives who will provide the most current insights into where the latest auto related projects will invest and why. 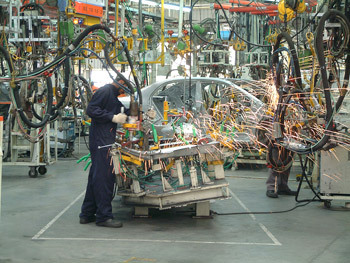 New labor agreements, plant expansions and OEM facilities present new business attraction opportunities for EDCs in 2012. The Automotive Forum has been designed to help economic developers frame their marketing strategies and find the right course of action to attract suppliers and other industry related companies. The intense two day program of sessions, panel and round table discussion are designed to focus on all sectors contributing to the automotive market recovery in North America. The program also includes several networking receptions and meals for the opportunity to meet and talk with speakers and colleagues. The Automotive Forum program will provide ED professionals at all levels with a valuable insider’s view of today’s revived global automotive investment market. With registration limited to 100 delegates on a first come first serve basis this Forum preserves a unique boutique quality and low delegate to speaker ratio. Registration is now open. Hotel reservations at the outstanding Four Seasons Hotel (Midtown) are available for $199 per night open receipt of your registration. The Consultants Forum offers several highly effective sponsorship opportunities that include a private Pre-Conference Speaker/Sponsor Receptions, digital signage and other introduction and brand awareness benefits. The Automotive Forum expects to be sold out quickly so please reserve your seat early.